I know I have said many times that I quit AJ and stuff (and I am sure many people on AJ have too lol) but this time I am serious here. But I will keep this blog up for people to see how AJ was in the past. But I will gladly write a boringly long (and true) story of my time on AJ. will divide it into parts and add a directory so you can scroll down to the part you want to read. I will also add a RL;DR version at the end. time. The only thing that mattered was friendship. Scammers were there back then, but there were a lot less of them. Since rares didn't matter, scammers would just take random items from people, or whatever they could get. The main way that the scammers scammed was by getting people to send them a gift, promising to give a gift in return. Of course, no one ever got a gift in return, yet everyone still fell for it. The trading system was not out yet. But let's get to my personal experiences. On my first day, AJ seemed like the best game ever. The dens looked epic, there were so many cool things to buy, and so much to do. I had a bunny named Blossom Berryflower, a white bunny with a red star pattern. I made my second animal another bunny, this one named Blooming Berryninja. 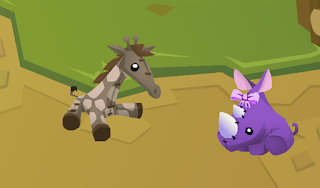 Me and my friend pretended to eat "ninja berries" and out main animals would turn into ninjas. Later that night, she showed me her den. It was a castle den. 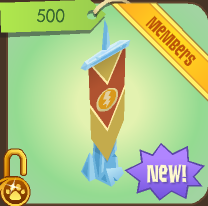 To me, it looked really cool, and was enough to get me to buy membership the next day. 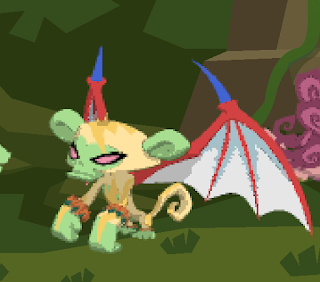 Every day, both of us read Fuzzy Shyivy's blog (Animal Jam Rush) which was the most popular AJ blog. She was hosting a party at Mt. Shiveer one day, and me and my friend sat at the party location for at least 2 hours. We really wanted to be the first ones there, I guess. The party time came, and Fuzzy added both of us to her buddy list. But one day around the beginning of March, Fuzzy stopped posting. She didn't leave a goodbye post or anything, so nearly all of her fans were left clueless. My friend came up with the idea that I should make an AJ blog to help the jammers like Fuzzy did. And that is when AJF was born. My goal was to help people and have fun. It was never my goal to be famous or popular. Shortly after, the new land called Appondale came out, as well as elephants. My friend discovered a glitch in the game Spider Zapper that allowed her to see the layout of the new trading system. So we were possibly the only ones to know about the trading system at the time. (I actually can't remember when the trading system came out. I think it was a little but before AJF but I don't feel like rewriting this lol) After some days (or weeks) the trading system was officially introduced. And that is when people made their own "rarity charts". The trading system had some flaws, one of them allowing an easy way to scam people. This method became known as the "pillow scam". I am not going to explain how it worked, but there are some blogs that will explain it. 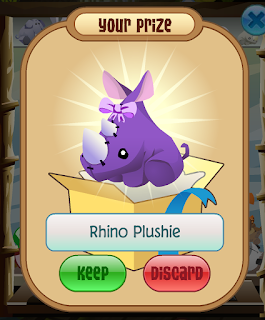 Instead of scamming people, I would stand in front of pillow to prevent the scammers from clicking on the potential victims' nametags. Anyways, AJF grew pretty quickly as there weren't many AJ blogs out there. I will admit I was excited to see my view count go up every day, but as I said, I wanted to help people, not become famous. Eventually, AJF became the most viewed AJ blog. That record is no longer mine however, but that doesn't matter to me at all. I eventually became interested in collecting items, both rare and non rare. I am not (and was never) a scammer, so I had to get my items the legit way, by trading. I always made sure to keep my friends a higher priority than items. (I will skip the boring stuff) Eventually I became a "pretty good collector". A bit too good according to some people, such as pizzadrop. He went and told everyone I was a hacker and hacked all of my stuff. The rumor got around, and my den was always full of random people calling me a hacker. So I decided I needed to start hiding my stuff. That is when I created a new, secret account. This is where things get mildly crazy. My secret account was IiIy which looked like "lily" but is actually iiiy. 2 of the i's are capital, which makes it look like the word lily. Unfortunately someone discovered IiIy. IiIy got invited to some party held by VisualEffects. I had no idea that that day I would get scammed. It turns out Visual is actually a greedy scammer, and just accuses other people of scamming just to cover up his own scams. Visual scammed IiIy's tan carpet and brown pilgrim hat, both were very rare at the time. Me and some peoples now call him Visual Defects for the lols. To this day people don't believe that he is a scammer. But I know what happened. He is just greedy for his virtual items. IiIy later moved to another account, that became rather popular. The new account was llIIlIIlL, more commonly known as L. His name was confusing on purpose. The username is typed lliiliill which through a lot of people off, even if it is simple. I didn't want too many people to know about L, but L did make a few good friends. And there was no way I would just ditch my friends. (Just to clear things up here, L was not a scammer either. Many people copied his name later on, and most of the people who copied his name happen to be scammers.) After a month(?) or so, the non member sword was discovered. It was owned by Celene. It turns out she was a pretty good person. One day, she got hacked and lost the sword. I cannot remember the new owner of the sword unfortunately. But then it was discovered that there were 2 pirate swords, both were purple. I wanted a pirate sword just to have, like most people did. I don't remember the name of the other person who had one, but I believe she was the one that hacked the sword from Celene. The other girl just happened to get one in a trade.We will call the innocent girl "Curly" and the evil one "Misery" for now. (10000 gems if you get the reference) I trusted Misery and we began to trade. She refused to only take 4 items from me and instead wanted 8. She made me get a storage and trade her storage 4 items for the storage's necklace and have L trade her main account 4 items. Stupidly, I did that and she only accepted the necklace trade and ran. I also trusted snowyclaw. And that was a huge mistake. So here is what happened. After I was scammed, I went to snowyclaw's den which is where Curly was (it might have been Curly's den, not sure). I told them what happened. So many things were happening at the time. Most importantly, my friend needed help. (gingerpawz) At the heat of the moment I didn't know what to do. 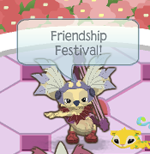 I made the horrible choice of ignoring gingerpawz and instead trying to get me a purple sword. And that is when snowyclaw (or as we call her now, snowyflaw) scammed L. In the crazy moment (it is all a little blurry other than the scam and stuffs) Curly accepted my trade for the sword. So I had finally gotten my dream item. But was it really worth it? Nope. Not one bit. I almost lost a friend, got scammed twice, and stoof. 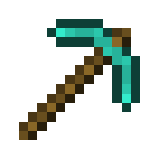 And for what, a digital sword that would eventually be available in AJ some way? Snowy had scammed my open sign (I think it was an open sign) spaceship gray walls, beta hood, and something else that I don't remember. I quit AJ for a while due to my lack of interest in the game. AJ changed so much since when I started. I am one of those "nostalgia freaks" when it comes to AJ I guess. I quit AJ for a while and came back some months later, and reopened AJF. Sometime after that I ran into snowyflaw at my den. She had one of her friends (or brainwashed minions as I call them lol), mimi (and some numbers) there to back her up. Basically what happened is the two of them verbally attacked me. I couldn't do anything because the two of them seemed to have an answer for everything. None of my friends were with me so I just had to live with it. I rapidly switched my den to get them out, and when I stopped, mimi said I stole the rapid den switch thing from someone that I never heard of. But I used that technique for like... ever. I didn't steal that, or anything. I guess she knew nothing about me. They finally left (thank goodness) and I probably logged out after that. It wasn't worth playing knowing that snowyflaw would always be there to be a meanie head. Nothing too interesting happened after that. But somewhat recently I was with spyro. I reminded spyro of everything and she wanted to help me out this time. I regrettably went with her to see snowyflaw. I will just say that it didn't end well. She said several things that weren't nice or true. Later that night I decided it is pointless to try to reason with her or try to be her friend. It isn't worth being friends with someone who isn't a good person at all. She tries to play nice, probably just to get people on her side or to become more popular. She never cared about me or anyone. Me and my friends had discussions on how she would only talk to rare or famous people. You can see on just about every one of her animals she wears something rare just to show off. She is all friendly with VisualDefects too. We noticed that if a random person said hi to her, she would either just leave or say hi back and just leave. 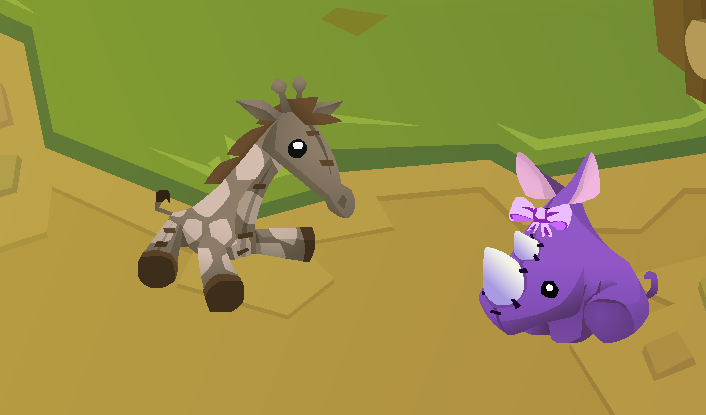 If you had rare stuffs she would actually talk to you. Pretty sure we tested it out on her. -Why would they hack my friends but leave snowy and her friends untouched? We think either Taxe is snowy, and snowy can just blame Taxe on the hacks so she seems innocent. That, or snowy hired Taxe in some way to hack my friends. Snowyflaw claims to feel sorry for me, yet she didn't do anything to help or prove that she is truly sorry. She didn't even give back the things she stole from me because she is far too greedy. I won't be surprised if snowy makes a post on her site trying to sound innocent. Anyone remember when ginger made a post on her site revealing the truth about snowy? Snowy made a post attacking ginger after that. Ginger was kind enough to delete her post, but snowy kept hers up, You can probably still find that post on flaw's site. But at least I know who snowy really is. I decided it isn't worth playing if my friends get hacked every few minutes now. I never really know if my friends are online or if it just Taxe or snowy on their account. So I am just leaving AJ for good this time and moving on. That was probably snowy's goal all along. So I am not sure what to even do with AJF now. Most of AJ sides with snowy here, and there are only a few people that believe me here. Should I turn AJF into a blog that isn't about AJ? Or should I just leave it as is? I don't want to post anything about AJ anymore, so yeah. I've noticed something on one of AJHQ's posts. Check out this post on The Daily Explorer. One of the koalas has a purple mech angel helmet on their head! If you don't know, this color of mech helmets have never been released! Of course it doesn't really matter, it's just interesting what clothing AJHQ gives themselves (yes, this koala is from AJHQ). But it makes me wonder if the helmets will come back out soon, and what secrets they are hiding from us. 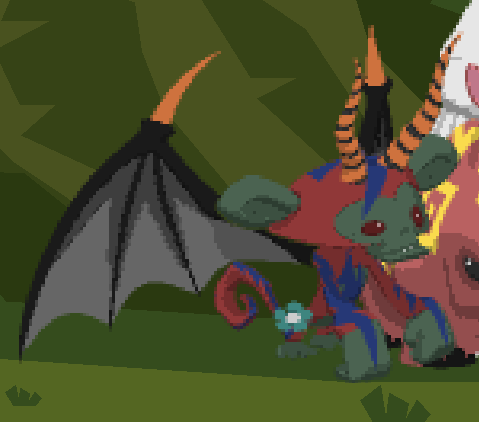 This was a new icon next to the gems icon when AJHQ played AJ. The feature was never released. What I think this is, is either a tool for AJHQ to send out an AJHQ announcement to everyone (I forgot what those are called), or an upcoming feature to take screenshots of AJ. So no post today other than this little piece of text. 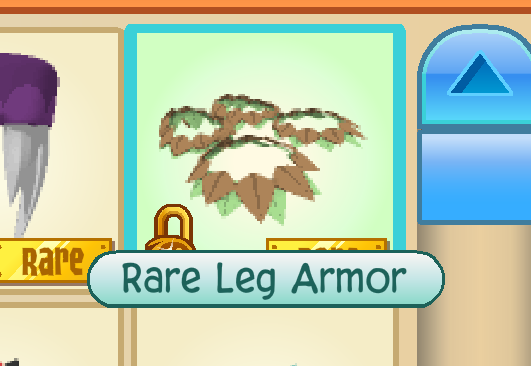 I waited for the party and found the new item, the Princess Char! 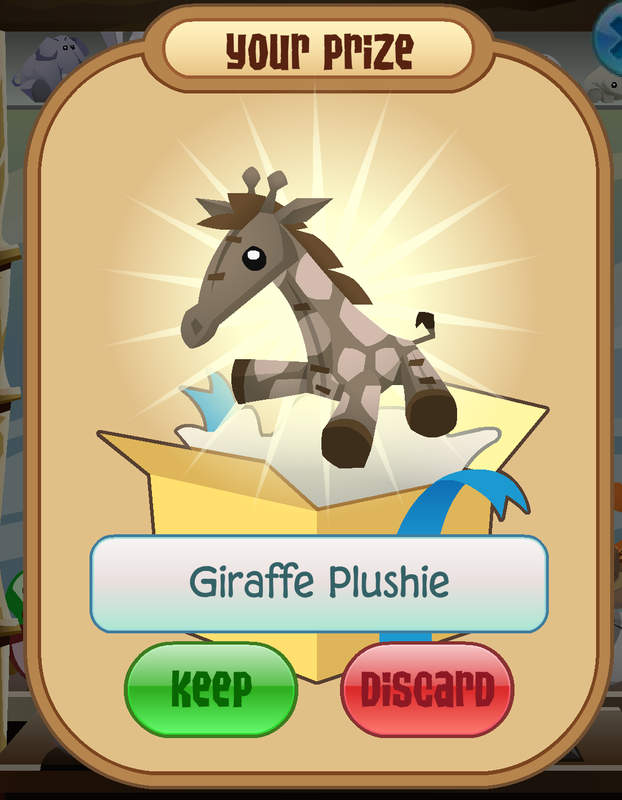 This isn't a new item, it was released years ago but it's back again. 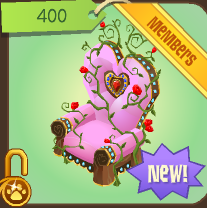 Wouldn't those rose vines hurt you when you sit in the chair though? 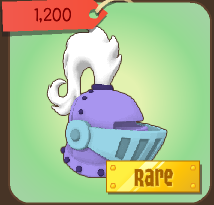 In Jam Mart Clothing there is a new Rare Monday Item - Rare Knight Helmet! Yeah I don't think anyone knows what I am talking about. 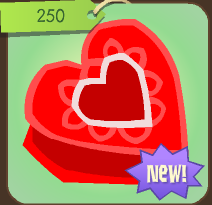 One of my first and favorite items is back again in Jam Mart Clothing, the Heart Balloon! 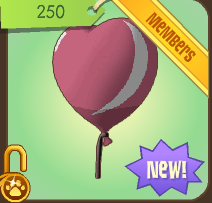 And now if I try to trade for them people will treat them like they are rarer than they are but oh well I don't really care I don't even know why I am putting this in this post it has nothing to do with heart balloons or whatever. But no I didn't quit or anything. Based on the votes on the poll, most of you want me to just continue AJF and nothing else. But I feel differently about that. There are plenty of AJ news sites like this one out there. Do we really need another one? Personally, I'd much rather make the Wiki thingy (I bet no one even knows what that is lol). There isn't any other site like it that is about AJ. I can work on that whenever I have time. Whose idea was it to freeze flags? Frozen Flags, which came out last year are back in Jam Mart Clothing! This is just a small post on the progress I made with updating all of the pages and stuffs. √ Still working glitches page has been deleted - most of them have been fixed and the page wasn't very detailed, etc. I am not sure what to do with the Server Names page - there are so many new servers (they aren't even called servers anymore) and I think it's useless to keep the page up. Also unsure what to do with the Jammer of the Month page as I am discontinuing it. Codes page is -42% up to date. Could someone please give me a list of working codes? Today is Rare Mondays, and the rare is quite easy to find! You can find it on the first page of Jam Mart Clothing in the very first spot. 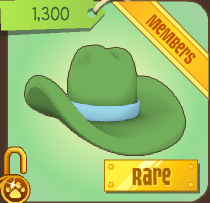 As you probably guessed from the title, it is a Rare Cowboy Hat! Expensive, but it's minty fresh! I don't really know what to say, but I guess you could say I am interested in blogging again. I don't know what happened in the past few months, I guess I just needed a long break. However, I am unsure if I should continue with a news site like AJF. I want to work on a site that is like Wikipedia that is specifically for AJ. I'll leave a poll on the side so you can vote on what I should do. One thing that I should let everyone know (if it wasn't painfully obvious already), I have made yet another account on AJ that I use instead of LoveLost. Yes, I know I switch users and accounts more than anyone in the world. But I wanted to move on from LoveLost, as me and LoveLost are no longer the same person. By that, I mean I have changed since I last blogged. I am no longer a whiny person who gets easily angered. Enough stuff about me, I'll put up the poll now. I will also have to get rid of all the pending comments because there are thousands and I don't have time to read them all.